: AMG models are typically known for its most expensive, high-performance and aggressive automobile by Mercedes-Benz class. 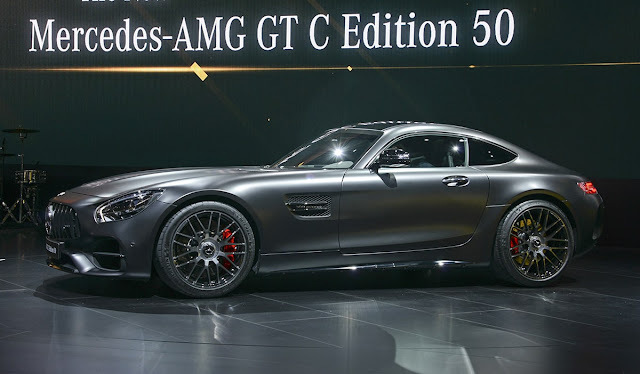 The new AMG GT C will launch as an exclusive special Edition 50 model to mark the landmark year of the company, which was founded in 1967 and will celebrate its 50th anniversary in 2017. The Edition 50 will be available in two exclusive special paint finishes: designo graphite grey magno and designo cashmere white magno. The interior is marked by a contrast between black and silver. This color scheme is followed not only by the trim in STYLE exclusive nappa leather in silver pearl/black with grey diamond-patterned contrasting topstitching, but also by the black AMG Performance steering wheel in DINAMICA microfibre with grey contrasting topstitching, “Edition” lettering on the steering wheel bezel and 12 o’clock mark in silver pearl. 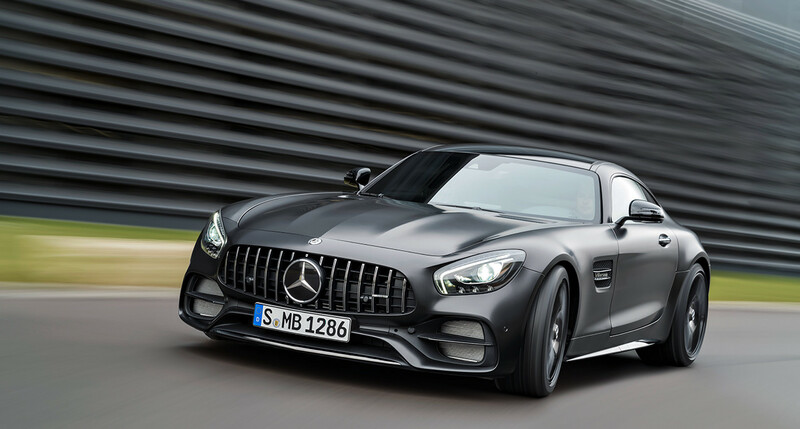 Features: The new models are identifiable by the distinctive AMG Panamericana grille, which is now shared by all AMG GT models. Underlining the motor sport heritage, the grille features 15 chrome-plated, vertical bars which echo the look of the latest Mercedes-AMG GT3. The large outer air inlets guarantee the supply of cooling air to the engine. The new Mercedes-AMG is fully loaded with output and torque variants of the 4.0-litre V8 bi-turbo engine. Hence, the AMG GT entry-level model now puts out 350 kW (476 PS), i.e. 10 kW(14 PS) more than before. In addition, with 630 Nm, the basic version of the eight-cylinder machine now delivers an extra 30 Nm of peak torque for even greater tractive power. The output from the GT S grows by 9 kW (12 PS) to 384 kW (522 PS), with the peak torque climbing 20 Nm to 670 Nm. The next level is marked by the C variants of the Coupe and Roadster with 410 kW (557 PS) and680 Nm peak torque. The top of the line is the AMG GT R with 430 kW (585 PS) and 700 Nm of torque. AMG GT C: Enhanced driving dynamics. The AMG GT C Roadster will now be joined by a Coupe version of the same model line, positioned between AMG GT S and AMG GT R. Like the Roadster unveiled in Paris, the new AMG GT C, too, impresses with further-enhanced driving dynamics. The new vehicle will launch in the form of a special Edition 50 model. Like the AMG GT R, the new member of the family is identifiable by its broad, muscular rear end and large wheels. Other technical measures include the wider rear track and active rear axle steering.